Register now for the 2019 Employee Recommended Workplace Awards at www.employeerecommended.com. Get feedback from your staff and get recognized for your excellence in health and wellness. Deadline to register is Nov. 22. In a few days there will be another legal recreational drug available for Canadians of legal age to indulge in. Canada will be the first industrialized country in the world to legalize cannabis for recreational use. Whether you’re currently a user of cannabis or a potential user, you likely have a point of view on this topic. Cannabis is not a new drug. In fact, it’s been legal in Canada for medical use for several years. As well, there’s been a thriving underground economy selling cannabis illegally for many years. What’s new besides cannabis being legal is the hype and focus on this drug. About 18 per cent of the adult Canadian population has reported using cannabis in the past 12 months, according to data firm Statista, compared to 70 per cent who have had at least one drink of alcohol. Where do you think the cannabis usage figure will be in 12 months? Cannabis is a psychoactive drug that when misused can lead to substance dependency. People can become addicted to this drug both psychologically and physically. Cannabis dosage levels are different than alcohol. Most of us know that beer contains about 5 per cent alcohol, 12 per cent for wine and about 40 per cent for hard liquor. In cannabis, THC (tetrahydrocannabinol), the psychoactive part of the marijuana plant, typically ranges from 10 per cent to 28 per cent, but can be much higher. 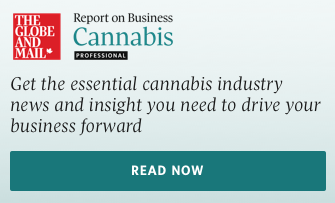 Buyers must be clear on THC levels, different forms, such as the flower versus oil, and different ways to consume cannabis by smoking, vaping and digesting, and the risks associated with each. When smoked, cannabis enters the bloodstream quickly, resulting a fast high, whereas digesting is much slower, resulting in a slower high. Besides being a recreational drug, cannabis has the potential to provide medical benefits because of the cannabidiol (CBD) part of the plant and how it works with THC. There are positive signs but not yet enough scientific evidence to fully understand why cannabis works on certain illnesses and to what degree. However, there is promising evidence that cannabis may be able to be used as an alternative to opioids for certain conditions like neuropathic pain. Over the next few years as research progresses, there will be much more evidence to help consumers and physicians make decisions on treatment expectations for certain medical conditions. Most of us know that it’s not wise to drink alcohol and drive. Nor to drink alcohol and then go to work. However, every day in Canada an average of four people are killed in car crashes involving alcohol and/or drugs. One of the challenges with cannabis users is that many don’t understand the impairment risk depending on how they consume cannabis, are over-confident and believe they can perform tasks at the same level or better than when not high. In fact, Health Canada suggests that 39 per cent of cannabis users say they’ve driven two hours after smoking cannabis. Every person who uses cannabis is accountable for their actions. If you’re going to use cannabis you need to be aware of the cannabis impairment window, which varies whether you’re smoking or digesting cannabis. Assuming no other drugs are being taken and a person is in a relatively healthy state, the general rule is that after smoking one joint at a moderate THC level (such as 10 per cent) it would be prudent to not drive a motor vehicle for at least five hours. THC is different than alcohol, where one ounce of liquor is out of the bloodstream within one to two hours. THC takes longer to get out of the bloodstream but can stay in the body longer. For someone who has never smoked cannabis in their life, one joint can potentially be detected up to two weeks after use. If you digest an equivalent THC dose of cannabis, the impairment window can be up to 24 hours. Anyone using cannabis should understand that when misused or not taken seriously (such as smoking or digesting too much at one time) this drug can result in psychosis or increased risk for a motor vehicle accident by driving within the impairment window. Once cannabis becomes legal it should no longer be biased by society. For most people who follow the rules where cannabis can be used it will be viewed by the law like alcohol, with just as many or more rules attached to it (for example, how much you can have with you at one time). Simple mistakes may be costly. For example, going to work while high could result in disciplinary action and travelling with cannabis in your luggage to the United States could result in serious complications at border crossings since it is not legal there. If you’re going to use cannabis, the key lesson is to learn about the drug and how you can take it safely. Like alcohol, be responsible with use, because if you’re not careful it can result in financial, social, legal and career problems – the same as any other substance dependency.